With a small group of kayakers and a fun & friendly experienced guide, explore this spectacular fiord, it’s thundering waterfalls and unique wildlife ensuring an unforgettable experience. 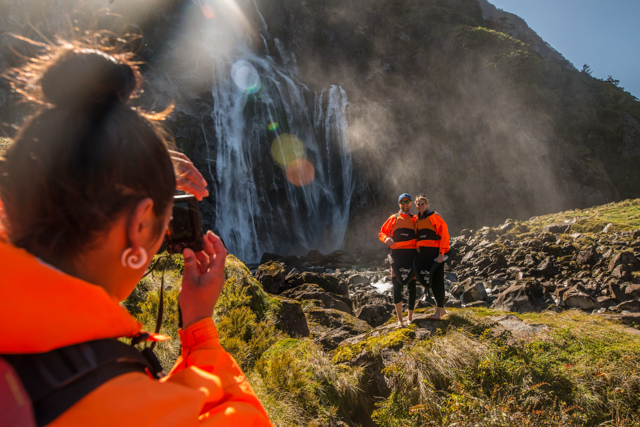 With 3 awesome products offered in Milford Sound we have something to suit everyone’s tastes, budgets and experience. 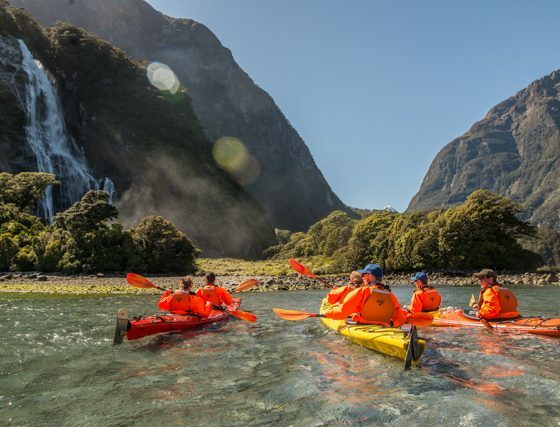 Don’t just look at Milford Sound. 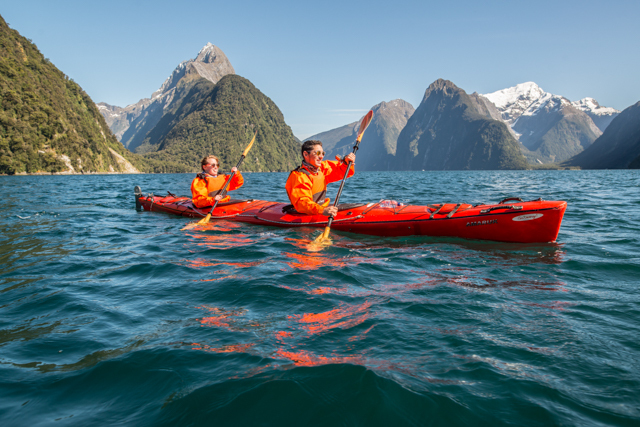 Get ready to immerse yourself at sea level on a kayak journey you will be hard pressed to forget. 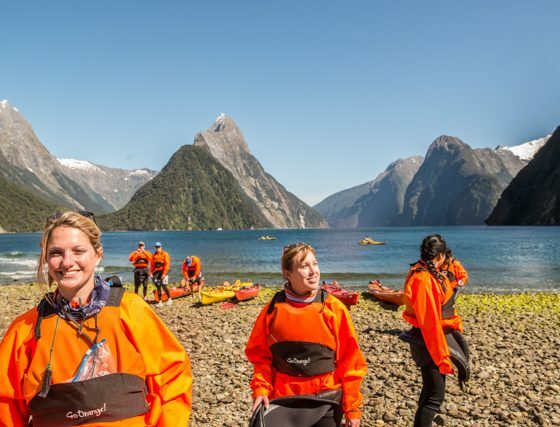 A fabulous four- five hours of sea kayaking on iconic Milford Sound stopping for lunch on a secluded beach. 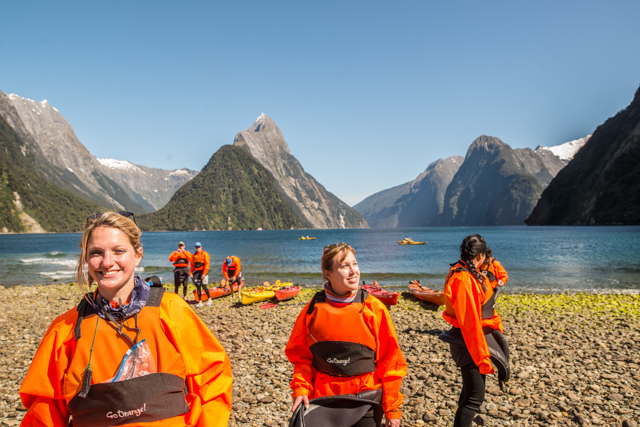 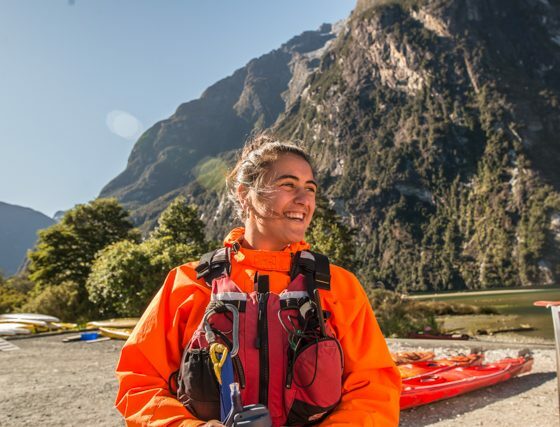 Go Orange offers great-value small group sea kayaking experiences on Milford Sound. 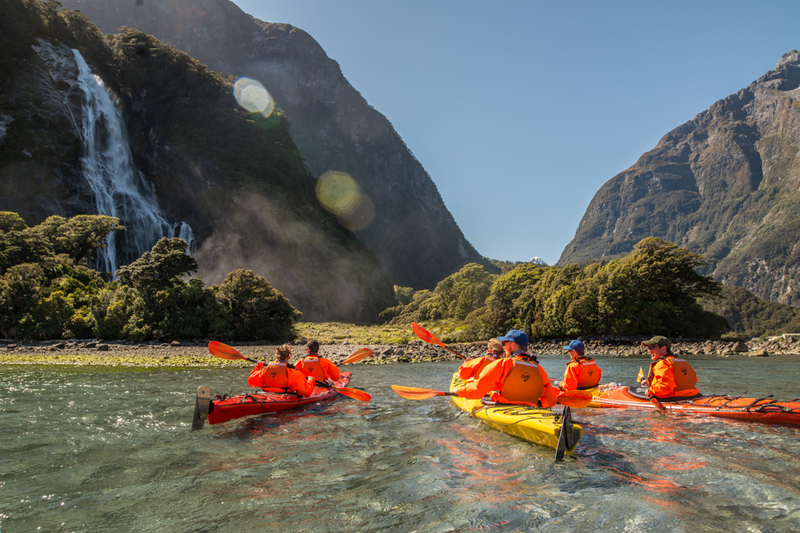 Whatever the weather – if it’s teaming with rain, shrouded in mist or glistening in the sunshine – it’s one of the most exceptional places to paddle. 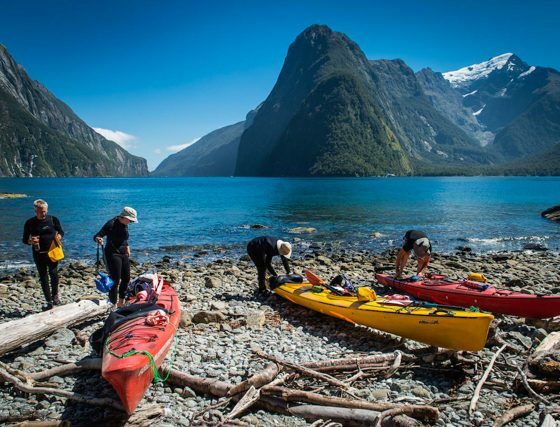 Join our experienced guide and small group of kayakers to explore this spectacular fiord, paddling towards the iconic Mitre Peak. 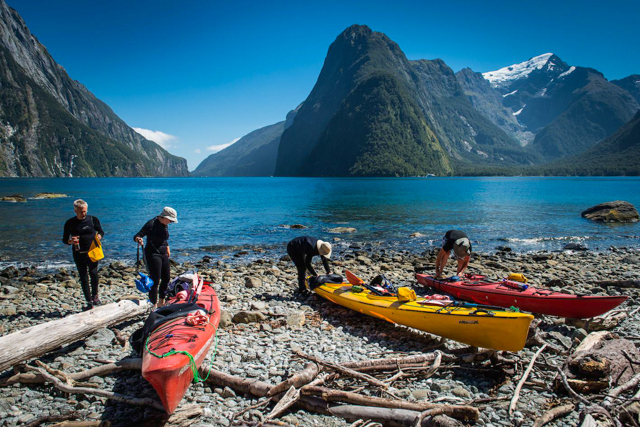 Four to five hours kayaking involved, with a stop on a secluded beach for lunch (weather permitting). 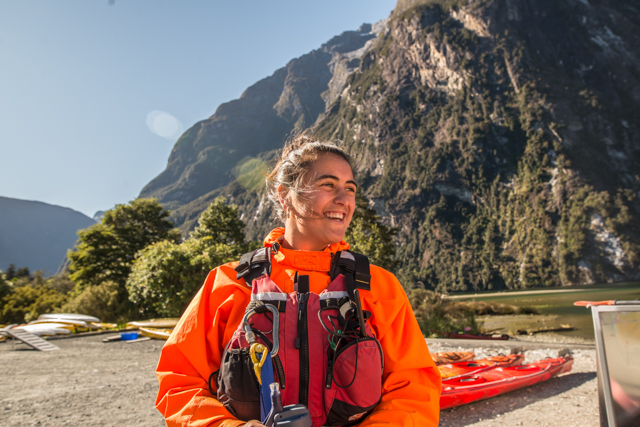 and if the afternoon breeze picks up we will raft up the kayaks and sail back to base together. 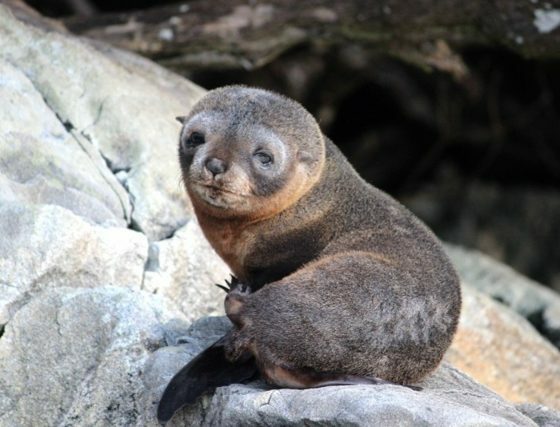 If you’re lucky the local wildlife will make an appearance. 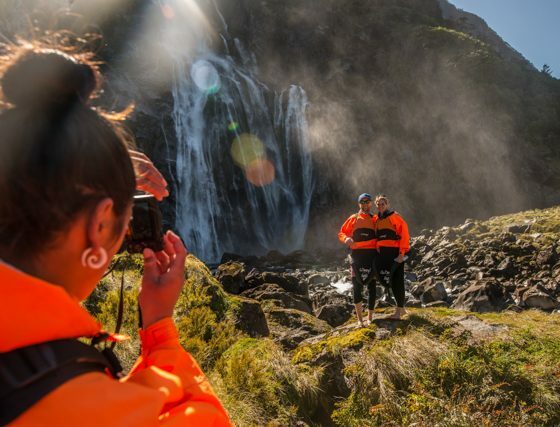 – sweet! 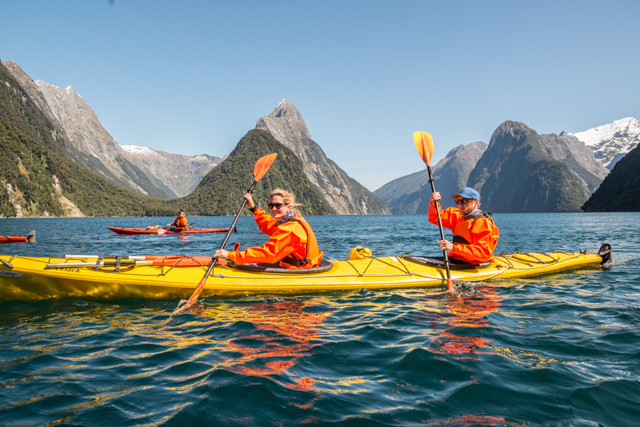 Let Go Orange take you on a paddle experience beyond compare, combining two of the best Milford Sound experiences in one day. 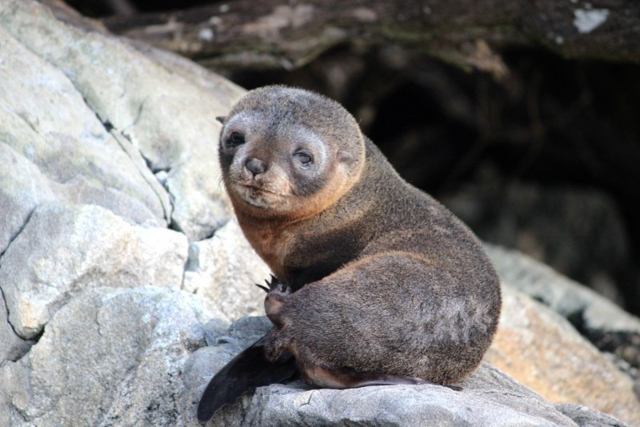 Explore the sound at sea level followed by cruising the sound on board the newly renovated Milford Haven for the afternoon. 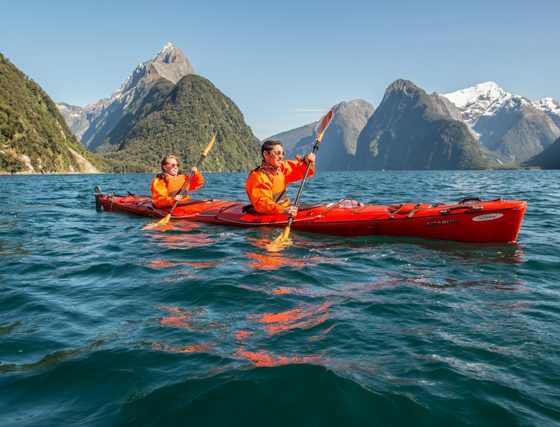 Go Orange will take you deeper into the unknown on a paddle journey discovering islands, coves and dramatic landscapes. 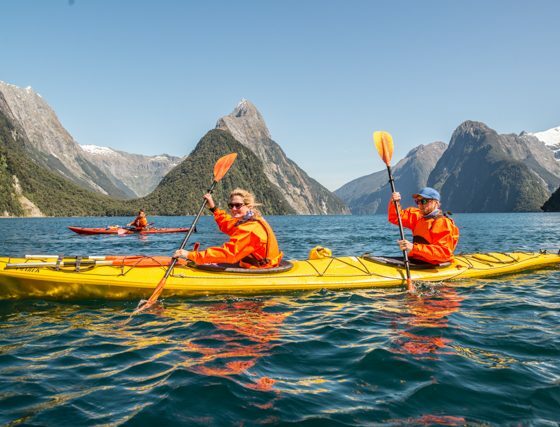 We depart the Kayak base at Deepwater Basin for your two hour paddle experience, getting you up close and personal with the towering peaks and local wildlife finishing the day cruising and exploring further out to the Tasman Sea.